Our daughter has Down syndrome. Like other children, she adores animated movies -- so when I see her mesmerized by Disney princesses, it breaks my heart to know that she has no role models like herself. Children with Down syndrome are princes and princesses, too! Disney does a great job of depicting right from wrong. It has long providing wonderful moral lessons that teach our children to be good people -- but sadly, the company comes up short in one critical area. Its movies have almost no representation of disabled people, those often bullied and looked down upon by their fellow children. What wonderful lessons of diversity, compassion, and acceptance Disney could teach our kids if they promoted disabled characters as heroes and heroines in their beloved movies! 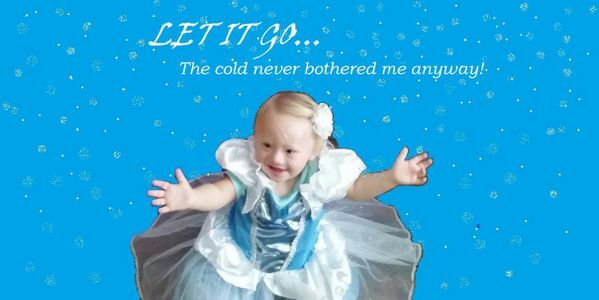 I believe Disney will work with us if enough people sign this Care2 petition -- please take action today for children like my daughter! Disney movies are such a wonderful force for good! Thank you for long depicting strong female role models for young girls. However, it broke my heart to read about a little girl whose baby sister has Down’s syndrome. Rewatching one of their favorite Disney movies, she sadly told her mommy, “Delaney can never be a Princess.” Children with disabilities are princes and princesses, too – should they grow up mesmerized and admiring all the "princesses" role models whom they can never aspire to be like? Your amazing company has always done a great job of depicting right from wrong. You provide wonderful moral lessons and teach our children to be good people -- yet your movies have miniscule representation of disabled people, those who are often bullied and looked down upon by other children. What wonderful lessons of acceptance you could teach our children by creating a wider awareness of children with disabilities like Down snydrome! You are in a great position to make an impact and encourage compassionate perceptions in the young minds you mold. Please take a more proactive approach in representing characters of all abilities by promoting disabled characters as heroes and heroines in your movies! We are so grateful for the continued support from the entirety of the Care2 community! Your affirmations have inspired us to go ever further for this cause. By sharing the story of our own family, a tale of how one special little girl came to touch the lives of so many, we hope to open people's eyes to the realities of kids with Down syndrome. Thank you so much for continuing to support our cause! We've accomplished so much since the start of this campaign, and with your help we know that there will be so much more we can do to help create role models for special needs children. Thanks again, and here's to a great 2016 for special needs kids! Our petition delivery to Disney headquarters was a great success! Reporters from several news channels came out and even covered us in California during the Thanksgiving 49ers game. Please keep sharing this petition with family and friends so that Disney knows this cause isn't going away - and thank you for all your support! Thank you for signing - it means so much to families of children with special needs everywhere! I'm happy to let you know that we're getting coverage from CNN, FoxNews.com, Jezebel, and dozens more. Let's keep up the momentum - I just know Disney will do the right thing if we keep raising our voices! Will you share this petition with your friends and family via email and Facebook to help it get more signatures? There are still several days left in Down's Syndrome Awareness month!